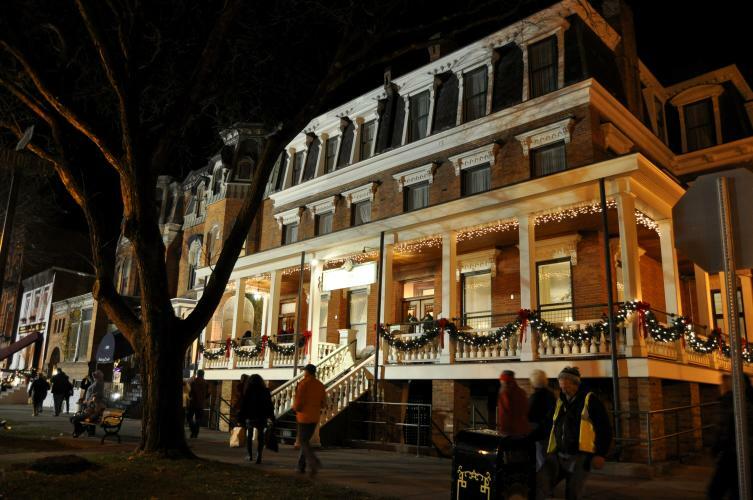 Currently celebrating its 175th year, The Inn at Saratoga, located on lower Broadway, is the oldest continuously-operating hotel in Saratoga Springs! Built in 1843 by Isaac Hall, it was initially a simple large boarding house. 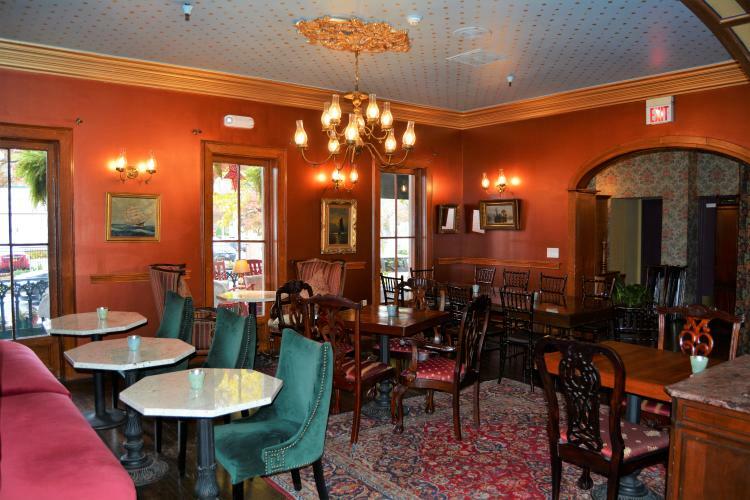 In 1846, it was sold to Virginia Thomas Smith who operated it through Dr. Richard L. Allen. Physicians at that time typically used boarding houses to house patients with "chronic cases" at the Springs and were thus able to supervise their patients&apos; diets. Dr. Allen did so until 1853. 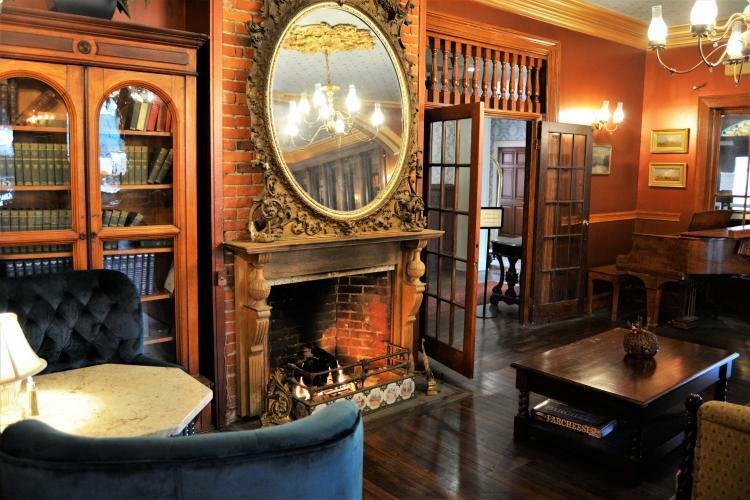 The hotel then changed ownership several times before it was sold to Benjamin Frasier in 1865, who operated it throughout the decade, during which the Civil War and the subsequent pent-up demand for pleasure caused Saratoga to experience the greatest boom it had ever seen. 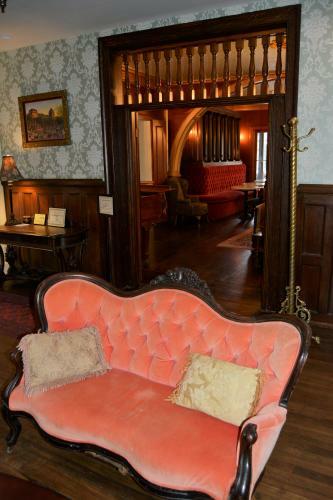 In 1866, he named the hotel "Everett House." Over subsequent decades, it changed hands several more times and was renamed the "Hotel Brenner" in 1924, and then the "Coachman Motor Inn" in 1973. 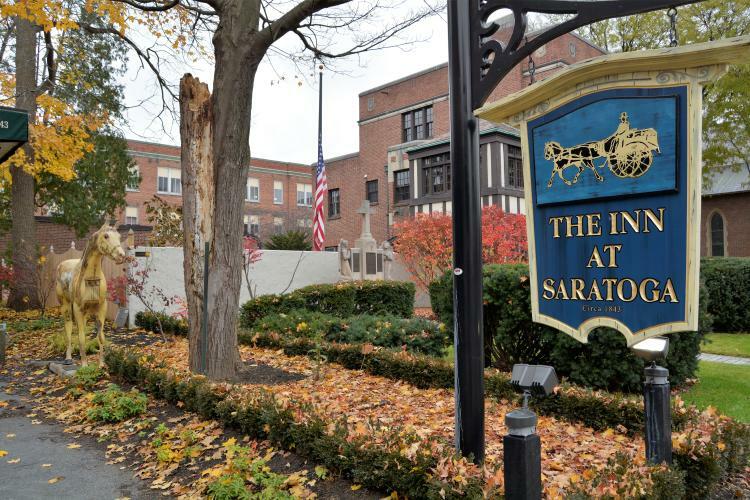 At about the time of the bicentennial, historic preservation became a driving force in Saratoga. 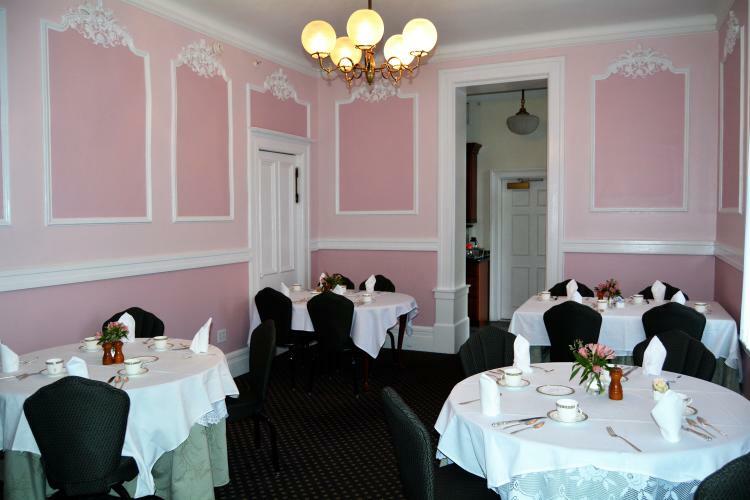 In 1987, the hotel was sold by the Nardelli&apos;s to four businessmen whose mission was to recreate the graciousness of a Victorian hotel. 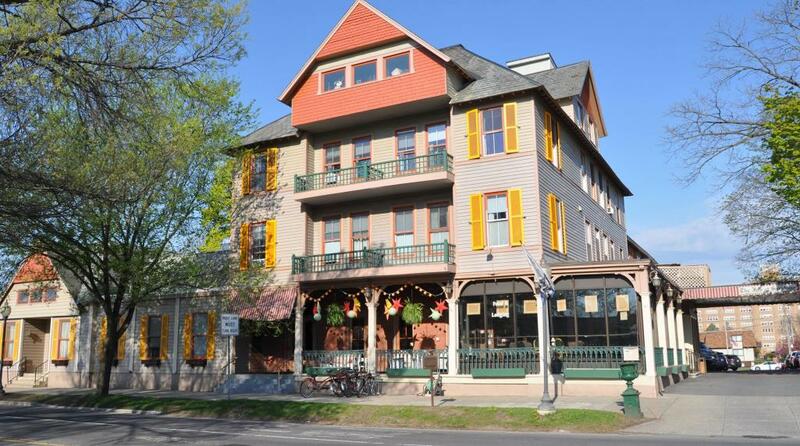 It was, at this time, renamed "The Inn at Saratoga." 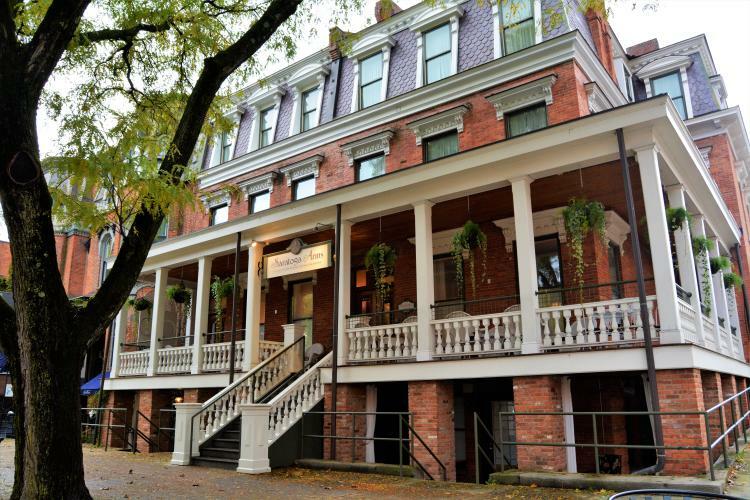 In 2003, it was once again sold, this time to Robert Israel of Franklin Square Associates, a historic preservation professional with the vision to restore aspects of the hotel&apos;s historic quality to enhance guest experiences, and it remains under his ownership and is a family business to this day. 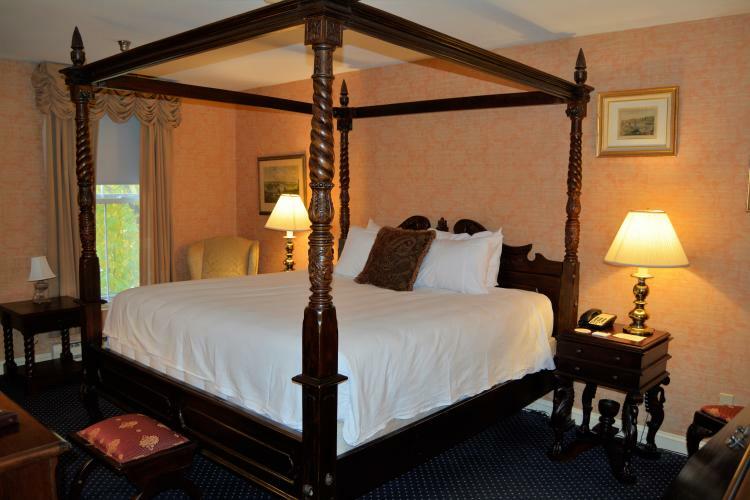 Within minutes of visiting the Inn at Saratoga, you are transported back in time. 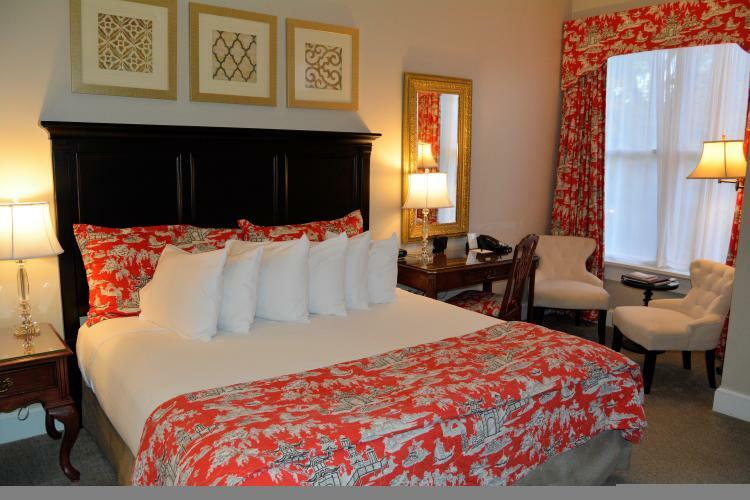 The Inn currently has 42 guest rooms, however, this was not always the case. 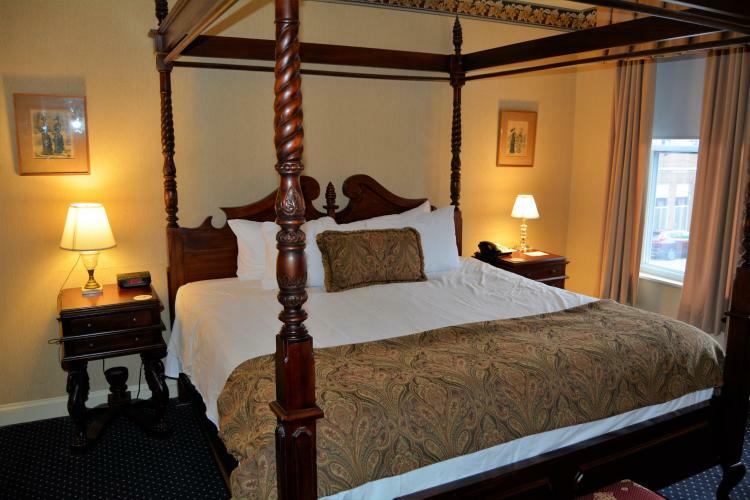 At one time, there were over 80 rooms, when each room consisted only of a bed and wash basin! 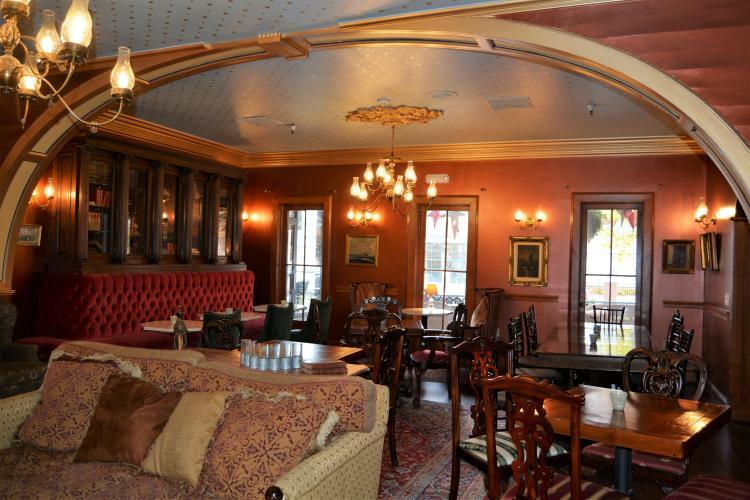 The beautiful Victorian features and design, not only in each individual room, but in the cozy tavern and warm and elegant front room (known as "The Side Room", which is also the name of their restaurant), coupled with the beautiful meeting and wedding venues, prove it to be the perfect marriage of past and present. Wishing them continued success as they celebrate this milestone anniversary - 175 years! 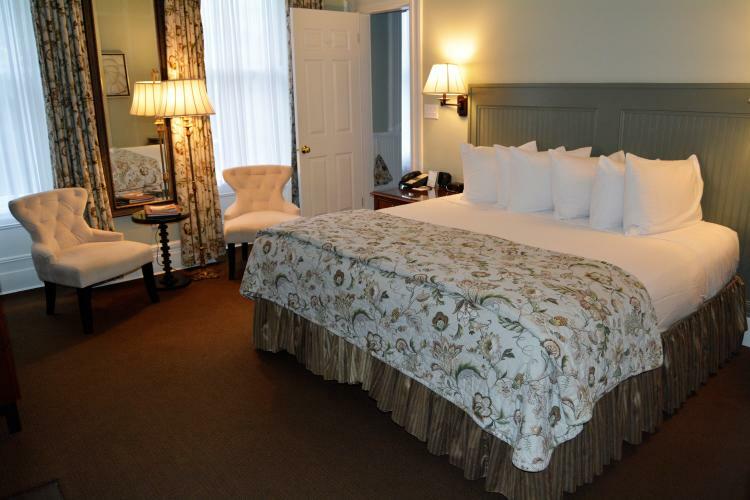 Located on the other end of Broadway and also acknowledging a notable anniversary, Saratoga Arms is celebrating twenty years as an elegant, historic and charming 31-room hotel, offering top-notch amenities to its lucky guests. 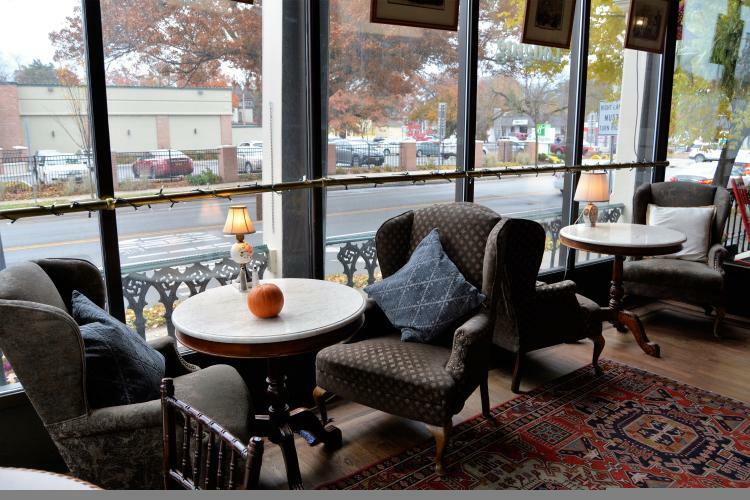 The original building was built in 1870 by Loren Putnam, a grandson of Gideon Putnam, and had previously gone by the names of The Putnam, The Walton, and The Windsor prior to becoming Saratoga Arms. 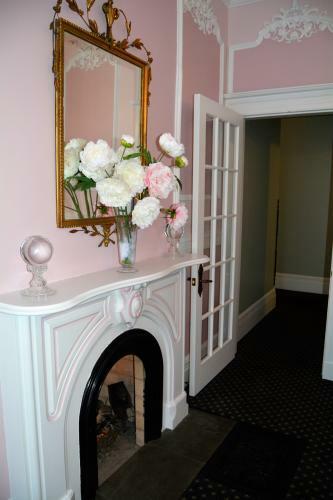 The building was purchased by Kathleen and Noel Smith in 1997 and they obtained their building permit in 1998 for extensive renovation. 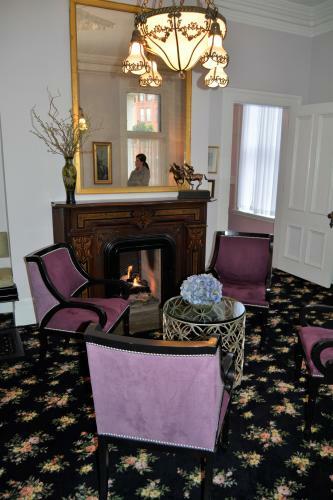 In 1999, it reopened as a 16-room inn with guest rooms that combined turn-of-the-century charm with modern amenities. 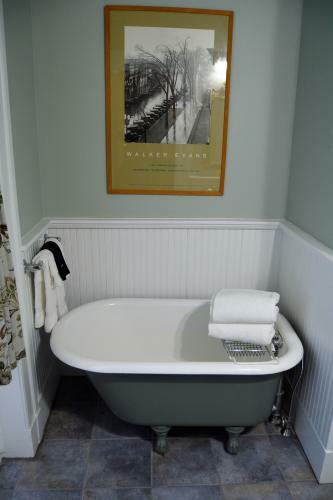 Each shower in the original building has a strategically placed, hand-painted tile with an interesting Saratoga quote or fact, intended to encourage conversation among the guests at the gourmet farm-to-table breakfast or while sitting on the porch. 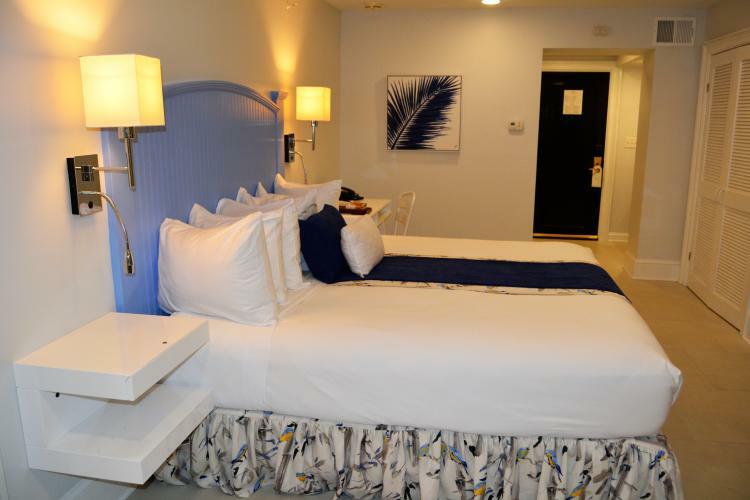 The new addition was completed in 2005, adding an additional 15 guest rooms, bringing the total to 31. 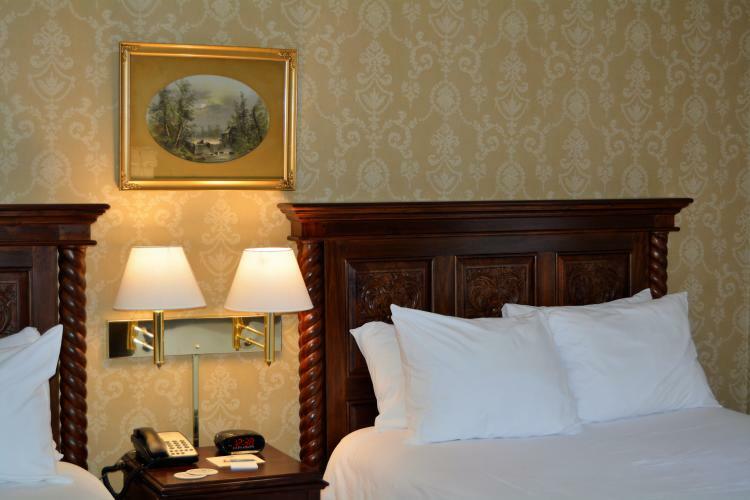 These complement the craftsmanship of the earlier rooms. As quoted from their website, "The expansion features a state-of-the-art executive conference room for small meetings and retreats. 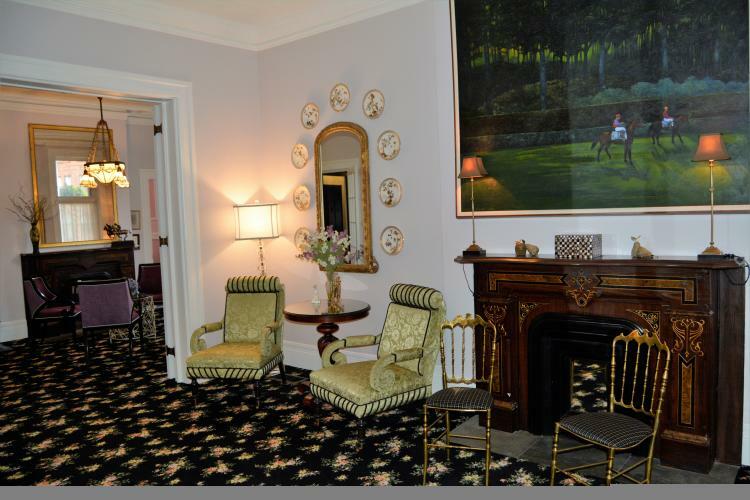 It is the President Grant Conference Room, so named because Noel Smith is a descendent of President Ulysses S. Grant!" 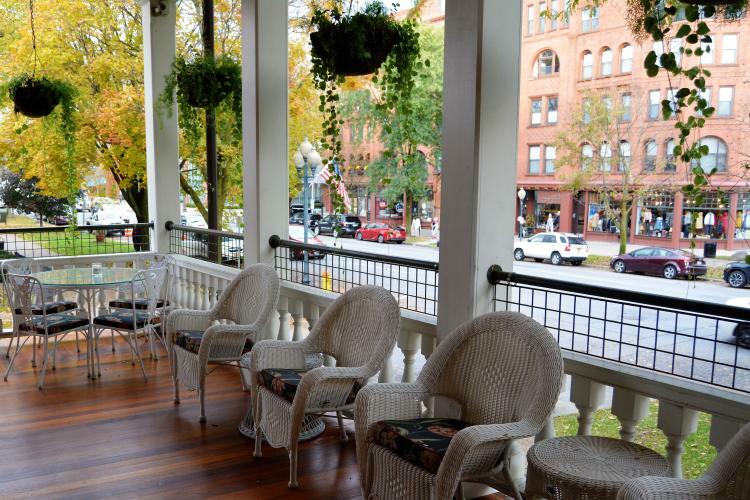 Perhaps the best-known feature of Saratoga Arms is the gorgeous wrap-around porch, complete with hanging plants in season, and lovely white wicker furniture encouraging its guests to relax and enjoy the hustle and bustle of Broadway over a glass of wine. 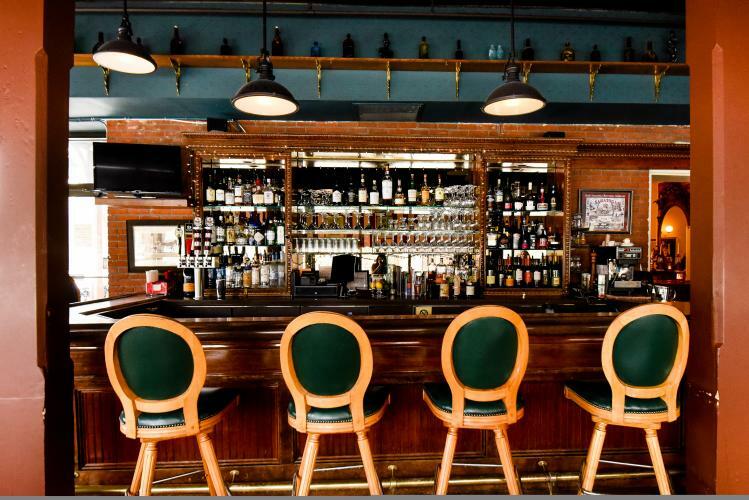 Congratulations to Saratoga Arms on their 20th anniversary and best wishes to continued success in the future!